Shuhrat Kudratov. Photo by RFE/RL's Tajik service. Creative Commons. In Tajikistan, the simple act of defending an opposition politician in a court of law can land you in a lot of trouble. Shuhrat Qudratov has not been found guilty of being a lawyer for an opposition politician, of course — his nine-year sentence is based on charges of ‘fraud’ and ‘attempted bribery’. But Tajikistan's civil society, despite being under pressure from the government, has found its voice to call the charges convoluted and show solidarity with Qudratov. Qudratov represented jailed oppositionist Zayd Saidov, a former minister who is facing 26 years in prison on a cocktail of charges that seem connected to his decision to branch out politically and found the party New Tajikistan. 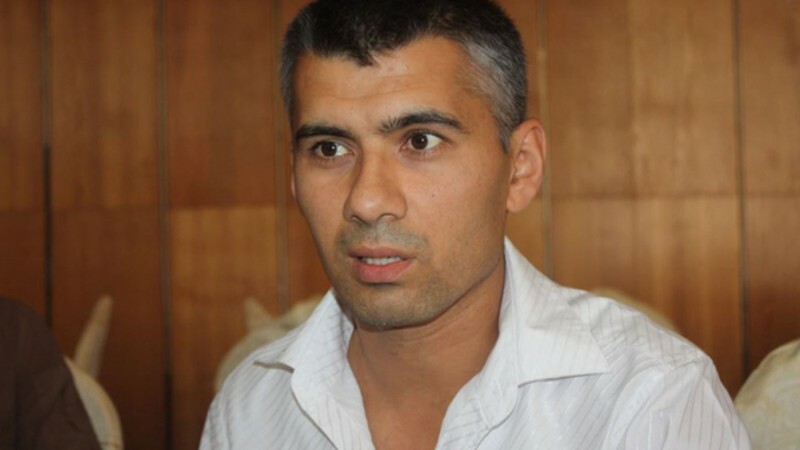 A Tajik court sentenced Qudratov to his term in a maximum security prison on January 13, 2015. 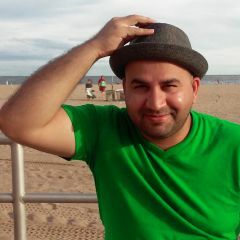 An online Facebook page, МАН – Шуҳрат Қудратов, translating as ‘I am Shuhrat Kudratov’ from Tajik, was created shortly afterward. Qudratov, also a deputy chairman of the marginalised Social-Democratic Party of Tajikistan, is one of two members of Saidov’s legal team to face imprisonment. 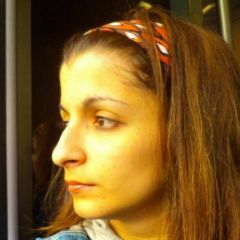 The other lawyer, sentenced on forgery charges last year, was freed under an amnesty in December 2014 and immediately ceased participating in the Saidov case. Qudratov, 38, has made a name for himself defending famous political and business notables who have attracted the wrath of Tajik President Emomali Rahmon's regime, most notably a man accused of murdering Rahmon’s brother-in-law. Despite losing every high profile case he has participated in, Qudratov was named the Best Lawyer of Tajikistan in 2011 by the non-profit the Tajik Bureau of Human Rights. 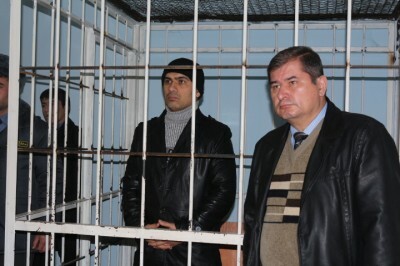 Shuhrat Qudratov behind bars during his court sentencing with his lawyer Rahmatullo Zoyirov. January 13, 2015. 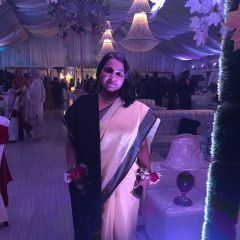 Asia Plus, used with permission. The charges against Qudratov are complicated. The bulk of his sentence is accounted for by his participation in the settlement of a fraud case, in which Qudratov represented the defendant. Qudratov was detained on July 21, 2014, after the defendant accused him of taking $1,500 from him in order to bribe the judge into dropping the charges. Qudratov, who was detained minutes after he received money, says that the judge offered to close the case if the defendant paid damages to the plaintiff. The plaintiff confirmed this, saying that during a three-way meeting between the judge, Qudratov and himself, he agreed to drop the case if the defendant paid him $2,000. The judge — Tajikitan's judiciary is notoriously politically dependent — says that Qudratov offered him favours to drop the case, but did not bribe him. Tajik activists have held protests in front of the Tajikistan embassies in Moscow and Washington, expressing their concern over Qudratov’s trial, which Human Rights Watch has described as “politically motivated”. Prominent Tajik lawyer and activist Fayzinisso Vohidova has called on the Tajik lawyers community to strike to show support for their imprisoned colleague. Tajik social media users have also watched Qudratov’s case closely, and most appear to believe the charges and trial are connected to his activities as an advocate. Where is justice? Nine years for what? Even for murder a shorter term is given. Nine years of maximum security prison for Shuhrat Qudratov, for what??? Another political prisoner. Who is next? I’m not surprised by the sentencing of Shuhrat Qudratov. I have never trusted the justice of the Tajik court, there was no reason to. But still this news has destroyed my mood. I wish the same fate to everyone who has handed down this sentence. The difference is that they will deserve the punishment. I wish the same destroyed life upon them. 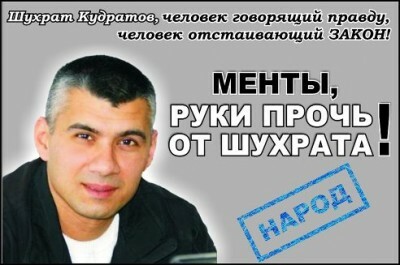 An illustration demanding police to “take their hands off Shuhrat Qudratov” was widely shared. We call on all citizens who feel responsibility, do not act indifferently to the arbitrariness of the authorities! Every Tajik citizen’s freedom depends on the freedom of Shuhrat! Today Shuhrat was [sentenced], but tomorrow any of us can be in his place. Think, while it is not too late. Rahmatullo Zoyirov, head of the Social-Democratic Party of Tajikistan and Qudratov’s lawyer, told journalists that he will appeal the sentence to the Supreme Court of Tajikistan. But Qudratov's release seems unlikely unless he receives a presidential pardon. On January 12, 2015, the Supreme Court of Tajikistan held its annual press conference. Court officials noted that of the 128 cases the court reviewed in 2014, it had not issued a single acquittal.